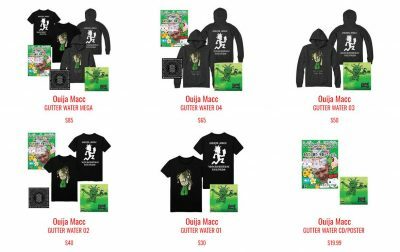 Radio420™: Ouija Macc’s “Ghost” Music Video Premiere! Contest Details Released! Album Pre-Order and Tracklist Announced! Ouija Macc’s “Ghost” Music Video Premiere! Contest Details Released! Album Pre-Order and Tracklist Announced! We have a jam packed article featuring a plethora of news about Ouija Macc for you! Let’s not waste any more time and get right to it. Ouija’s Psychopathic Records debut album Gutter Water is now available for pre-order! There are six different bundle options for you to purchase the album. The merchandise that come with these bundle is only available in these bundles. And last but not least the details for a contest revolving around the music video for “Ghost” was revealed on ICP’s Facebook page. The winner will win a Facetime session with Ouija. Check out the details below.